In 2005, there were no quality artisan bakeries in Oklahoma City, unlike almost every other city of its size or larger in the country. 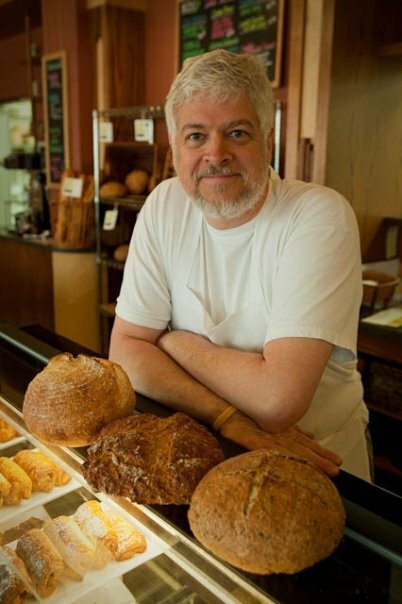 Prairie Thunder Baking Company started as an idea to bring high quality, handmade from scratch European style artisan breads and pastries to the city. As we were planning the bakery, the Midtown area of Oklahoma City was beginning to reawaken from decades of neglect and blight. We were among the pioneers opening new businesses in beautiful renovated spaces in the landmark Plaza Court Building when we opened in the spring of 2008, and today Midtown is one of several booming neighborhoods in the inner city. Nearby restaurants, bars, businesses, apartments and soon an upscale boutique hotel are driving a surge in urban living. It has certainly been exciting to be a part of this transformation. We do not compromise on the quality of our products. We chose the highest quality ingredients, we expect excellence out of our skilled bakers, pastry chefs and cooks, and we use processes that have stood the test of time in bakeries in Europe and America. Many of our breads and pastries take at least 24 hours to make, with some taking longer than that. These lengthy process times contribute to complex flavors and wonderful textures – crusty breads, airy pastries, rich flavors. Everything is made from the simplest ingredient lists possible, with no added unnecessary ingredients at all, and everything we sell is made here in our bakery from scratch. Our café features our baked goods and offers our breads and pastries to retail customers. We work with chefs, caterers and restaurants and some select independent retailers across the metropolitan area to provide some of the city’s best establishments with the best breads and baked goods possible. Oklahoma City has undergone a major food renaissance since 2008, and we’re proud to have been a part of this.